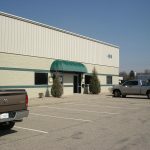 Shadeland Business Park - PPI Real Estate- Property Professionals Inc. 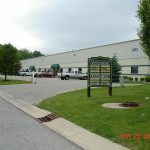 The Shadeland Business Park consists of 2 industrial flex buildings consisting of approximately 43,000 square feet and 12 acres for future development located just north of 16th Street and Shadeland Avenue in Indianapolis, Indiana. The Business Park is just minutes from Interstates 70 and 465, in addition to several amenities in the area. 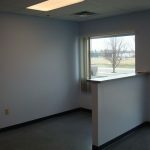 Shadeland Business Park caters to industrial tenants requiring offices/showroom and warehouse space. 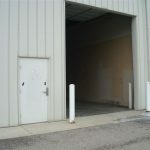 All spaces have approximately 16’ high garage doors. The warehouse areas have either 17 or 21‘high ceilings. 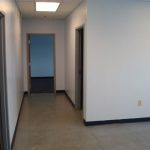 All office/showroom spaces are located in the front with warehouse space in the back. Lease terms range from three (3) years to five (5) years. All units have signage at the front doors in addition to a sign upon entry of the park. There is also a pylon sign along Shadeland Avenue for additional exposure. All interested applicants are required to fill out an application. Semi-truck trailers have easy access to all units for deliveries. There are allotted parking spaces for each business.